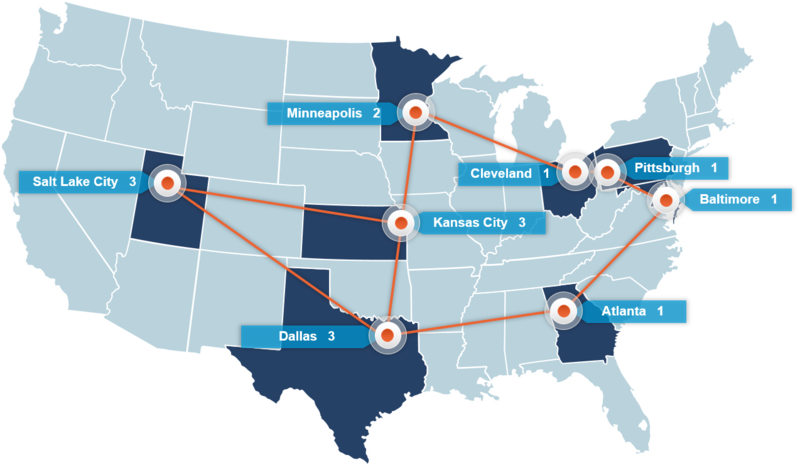 Metro Atlanta is fast becoming a ‘hub’ for data centers. Much of this has to do with the fact that more Fortune 500 companies have headquarters in Atlanta than Dallas and Nashville combined. Georgia has been ranked as the #1 state for business climate four years in a row. Notable companies that call Atlanta home are Coca-Cola, Delta, Home Depot, UPS, Chick-fil-a, and Porsche. Recent additions are Athena Health, Carter’s, Pandora, and MailChimp. More than just enterprise, there are numerous startup opportunities in Atlanta. The city is home to the southeast’s largest entrepreneurship center Atlanta Tech Village. It’s strategic location in the Southeast, coupled with rich connectivity options and reasonable power costs, make it an area of dynamic growth. The Midtown Atlanta Data Center is part of the CODA development, a 645,000 sqft mixed-use office complex, currently under construction in Georgia Tech’s Technology Square.